HDNet’s ‘Dan Rather Reports’ will bring further investigation into how Iran has used U.S. banks to launder money. The program will premiere tonight at 8:00 p.m. ET in high-definition on HDNet. Could Iran’s nuclear program be funded through New York banks? DALLAS, Sept. 15 /PRNewswire/ — New, late-breaking news has been added to tonight’s “Dan Rather Reports: Iran’s Manhattan Project.” The episode caps a months-long investigation into how Iran has used Western banks to launder billions of dollars. “Dan Rather Reports” has already turned up details of how a bank from Great Britain – one of our strongest allies in the war on terror – Lloyds TSB, had laundered money from Iran through New York banks. Investigators are looking into whether any of the money has been used for the country’s weapons program. Now, “Dan Rather Reports” will present new information surrounding this story: Manhattan District Attorney, Robert Morgenthau, is poised to publicly reveal yet another case that involves a bank in New York, one even bigger than Lloyds. And, investigators are probing how a blacklisted Iranian company– designated as having ties to Iran’s nuclear weapons program –has been using unwitting banks in New York to purchase components that could be used for its weapons program. 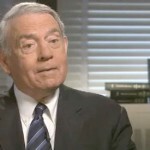 “Dan Rather Reports: Iran’s Manhattan Project” premieres on HDNet on Tuesday, September 15 at 8:00 p.m. ET with an encore presentation at 11:00 p.m. PT to accommodate West Coast prime time.